Motorcycle: Honda XR 250 Baja at 15 USD per day from Negombo Motorcycle Tours. Deposit of 100 USD is required. Spendings: 650 USD excluding air tickets and insurance (250 USD for bike rental and petrol, 100 USD for ticketings, 200 USD for lodgings and USD100 for food). 1 USD is worth about 115 Rupees. If you would like a copy of my actual GPS route and some waypoints (as shown above) in Garmin GDB format (to open using Mapsource), just post a comment and I will send the download link (2mb file) to your email address. Unlike some of my previous long-winded trip reports, this will be a very brief report with mostly photos. Disclaimer: This trip was taken in December 2009. The information is provided ‘as is’ with no warranties and confers no rights. If you are interested to know more, please add a comment and I will update the post with more details. This entry was posted in Motorcycle Adventure Vacations, Sri Lanka by atticus. Bookmark the permalink. im going to sri lanka in march. would to follow your exact route but sadly i’ll be only spending a week there. can you still send me the GPS file? many thanks. going to have 7 riding days in two weeks there. could you please send me information about points of interest, map and route? 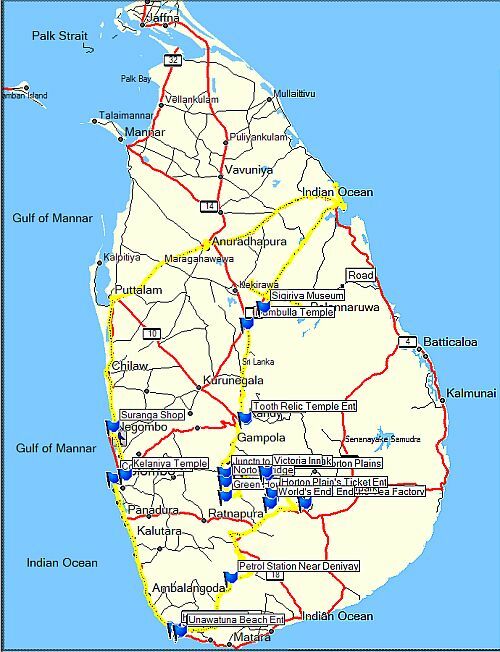 Hello, just want to ask, what if I don’t have any license to bike, is it possible to have a trip like you in Sri Lanka? I was checked for my licenses a few times while I was riding in Sri Lanka. So I would say it is required. thank you to share your nice trip and informations, I am going to Sri Lanka next week for 17 days with my wife and we should like do something like you. I am from Italy living in Paris. I was traveling by motorbike many years with my wife in different countries. I have my Enfield bike in India but this time i should like discover Sri Lanka. Can you send me GPS file and map informations. Epic trip you have there! Thanks for sharing your amazing trip. 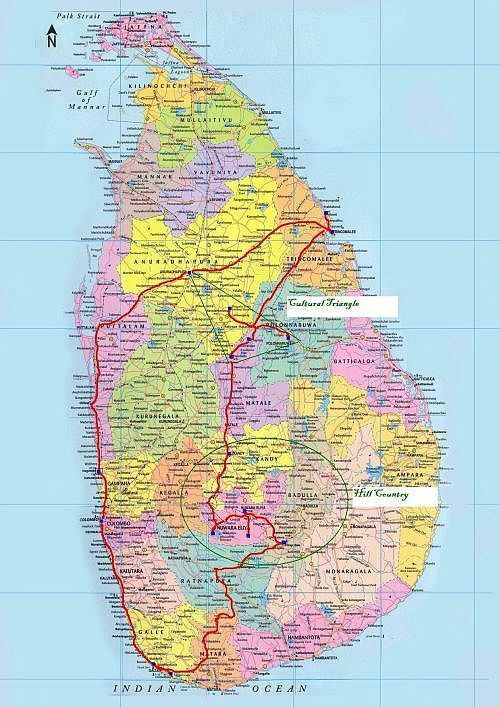 I am heading off to do the same in less than a week and would appreciate if you could share your gps file on sri lanka. Hello there and thank you so much for all this valuable information, I would also love to have a copy of your actual GPS route and waypoints, I have viewranger on my phone which reads standard GPX files, but I suppose I can convert them myself. Can you send me the gdb file as well please. Thanks.